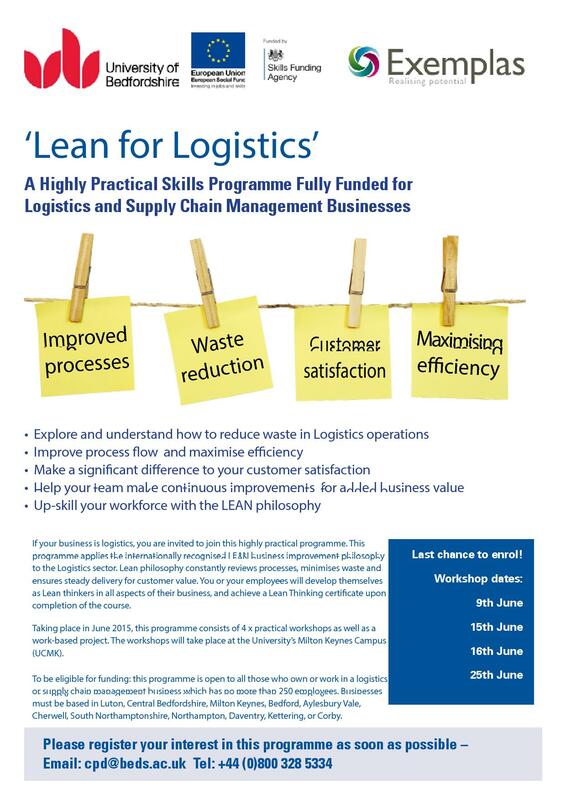 Logistics companies have been invited to take part in a series of four workshops being held in Milton Keynes throughout June. The ‘Lean for Logistics’ programme will be held at the University of Bedfordshire’ Milton Keynes campus (UCMK). See the poster below for full details.